Dirty Dangle Hockey: Dion Phaneuf: On His Way To A Norris Trophy? Dion Phaneuf: On His Way To A Norris Trophy? I can remember watching Dion Phaneuf at the World Junios and thinking how the Leafs can never get a stud D-man like that. During the 04-05 dream team Tournament he put up 6 points in 6 games and killed everyone in sight. Canada won Gold that year over Alex Ovechkin and the Russians and many people were wondering how long it would be until Phaneuf would be an impact player in the NHL. Well they didn't have to wait long as the following year Phaneuf made the Calgary Flames and was 3rd in points on the team with 20 goals and 29 assists for 49 points. He was already one of the top offensive d-men in the game, scoring big goals with his bomb of a shot and making guys choke on their tongues with massive hits. But luckily for the Toronto Maple Leafs, Phaneuf's numbers dropped off and there was a lot of talk about his problems playing without the puck in his own end. The Leafs were able to get Phaneuf for a bunch of spare parts and at first the deal wasn't looking like such a steal when Phaneuf started off slowly and in his first full season was injured early on and took some time getting used to being the team Captain. He finished with 8 goals and 30 points - not what Leaf fans were hoping for out of their highly paid defenceman. So far this season, Phanuef has delivered and then some, posting 12 points in 16 games and being a rock on D, with a +5 rating. He has been pinching at the right times and doesn't seem lost in his own end like he was in the past. It also looks like he has been working on keeping his shots down and hitting the net too - leading to more assists and giving his teammates a chance to tip point shots, instead of ducking out of the way like they were doing last season. At just 26 Phanuef is now entering his prime as a defenceman. If he can put up 60 points and keep playing well in his own end and get the Maple Leafs into the playoffs you could toss his name into the Norris Trophy talk. 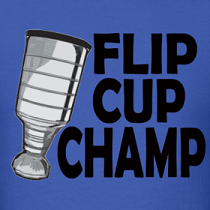 It's been awhile since Leaf fans have been able to say that. Yes, Brain McCabe had a few good offensive years in a Leaf jersey, but he was a train wreck in his own zone. 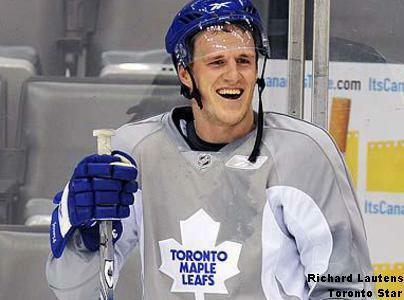 When Phaneuf is on his game he makes everyone around him better and he is a game changer when he is on the ice. It could be a big hit that changes the tempo of the game in the Leafs favor or a bomb of a clapper to give the team the lead. If he keeps it up he'll no doubt have his name in the Norris talks at seasons end. Let's hope! Phaneuf is a great d-man. Dion is having a good year. But I don't ever see him winning a Norris with so many other great Dman in the league. Did the Leafs ever win that deal with the Flames. I would love for Dion to win the Norris one day. But it will be pretty hard with other young Dmen out there. The word "Nomination" is missing from the post's title. Then you have valid question.